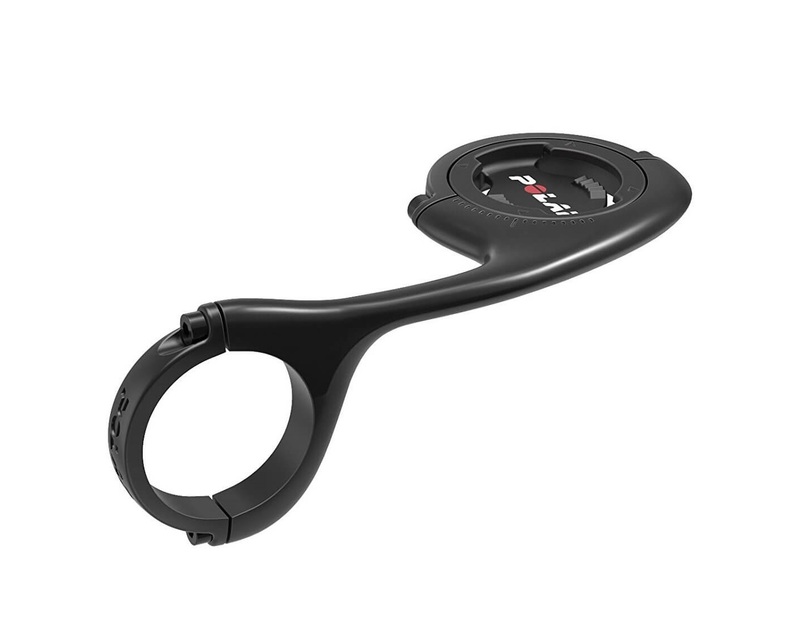 The Polar Adjustable Front Bike Mount is made for standard 31.8 mm diameter handlebars and features an adjustable, aerodynamic and ultra-slim design. The adjustable design allows the bike mount to be attached around either the handlebar or the stem of your bike. In addition, it provides the best viewing angle and makes your bike computer easy to access at all times. The Polar Adjustable Front Bike Mount is compatible with Polar V650 and M450 cycling computers only.